The excessive power draws occur only under a specific condition: when Windows 10’s Power Mode Slider (a feature you’ll see more of in the Fall Creators Update) is dialed up to “Best performance.” This slider, accessible via the taskbar, provides three increments of battery/performance: “Best battery life,” “Best performance,” and a midrange setting. Though we’ve never tested the slider’s specific effects, anecdotally I’ve found that Windows typically auto-adjusts it for battery or AC power, tweaking the performance accordingly. Microsoft confirmed the purpose of the slider. “The Surface Book 2 Power Mode Slider is provided as a means to give the user control over the range of performance and battery life,” a spokesperson explained. For testing purposes, we wanted to establish a consistent load on the CPU and GPU, rather than the on-again, off-again workloads of games and other apps. 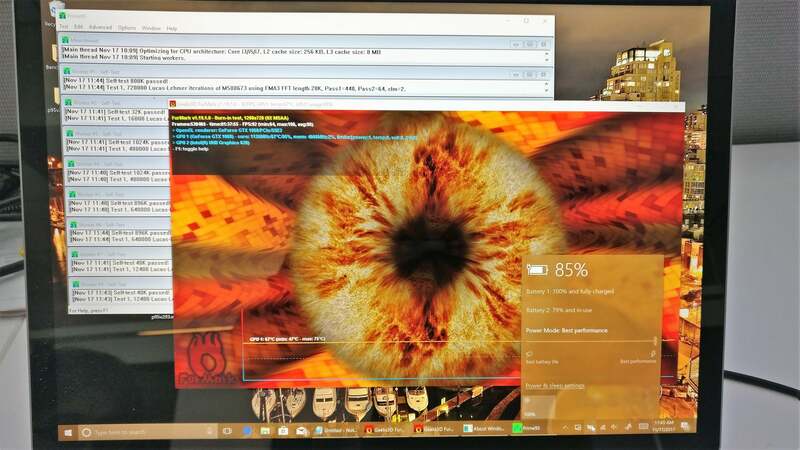 We used the FurMark graphics benchmark/stress test in a 1280×720 window, in conjunction with the Prime95 CPU stress test. In discussing our findings with Microsoft, the company seems to be backing off any implication that the Surface Book 2 could be considered a gaming machine. 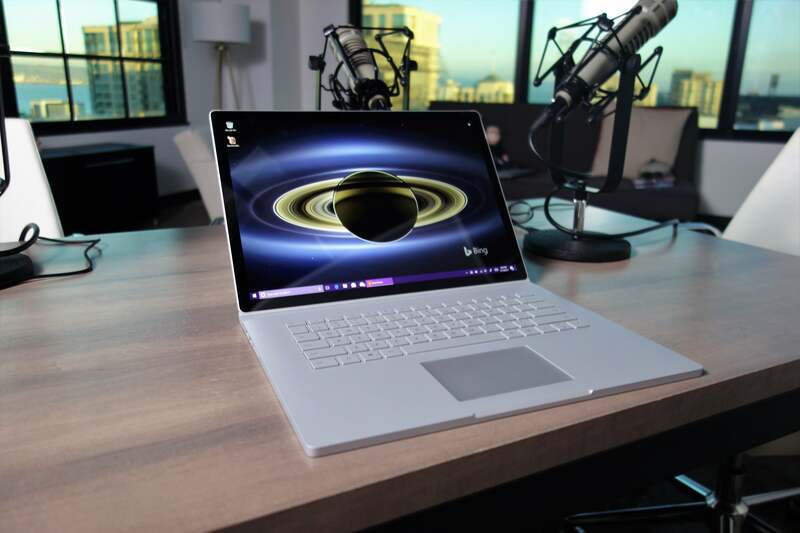 “Surface Book 2 was designed to deliver unmatched power and performance for anyone who needs a powerful machine to work and create, making it a great option for STEM professionals (designers, developers, engineers),” Microsoft said in a statement. For now, we’re holding our Surface Book 2 review score steady at 4 stars, while we give this some thought. 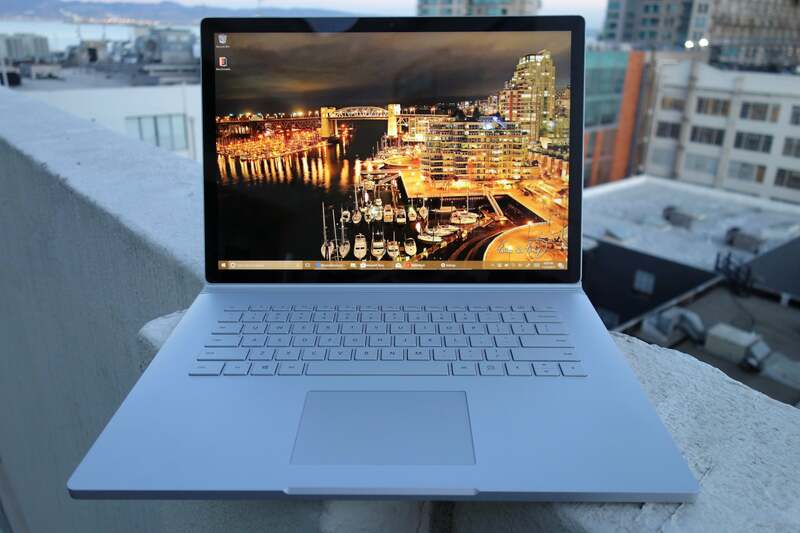 But we’re certainly disappointed, as we suspect potential Surface Book 2 buyers will be, too.